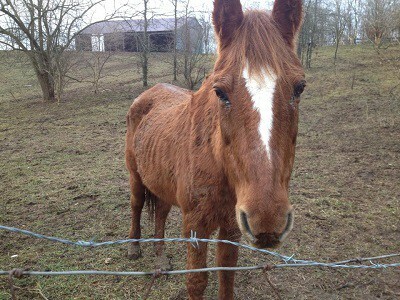 The director of Serenity Horse Rescue in Ohio is headed to court for allegedly mistreating animals she rescued. Shula Woodworth was charged Thursday with 37 counts of animal cruelty totaling five charges. She has pleaded not guilty. Miami County Humane Society Officer Sharon Karns tells Rate My Horse PRO the second degree misdemeanor charges were filed after more than 150 animals were seized from the rescue last month. Included were 21 horses – and various other animals including alpacas, goats, rabbits, pigs, and a calf. Six horses were found dead on the property. Karns couldn’t comment on how the horses died due to the investigation. Once Woodworth is served she will be arraigned in court at an unknown date. Woodworth is also facing zoning violations filed by the county. She pleaded not guilty in that case earlier this week.